If your medical practice is struggling to bring in enough new patients, it might be that your online presence is lacking. Whether your website is slow or your marketing strategy needs work, there are a number of reasons why you might not be having an impact online. Our world is going digital, and that means that marketing is, too. Video marketing, specifically, is quickly becoming one of the most important tools for attracting more potential patients online. Are you still handing out physical brochures and flyers? If so, it’s probably time to recalibrate and start investing in modern marketing methods that will bring you new patients in 2018. Video marketing is one of these methods, and here are three reasons why your practice should invest in video marketing this year and beyond. Do you know why video content performs so well? What is the largest video platform in the world? YouTube. What is the largest search engine in the world? Google. And guess what? That’s right – Google owns YouTube. This means YouTube videos are going to rank extremely high in online searches, as Google benefits every time someone watches a YouTube video. If you’re currently working hard to optimize your medical practice’s website for search engines, producing video content will only bring you greater success. One of the keys to multiplying your online reach is through social sharing, and people are always more likely to share what they can see and hear. With online videos, both of these senses (seeing and hearing) are stimulated, making video marketing significantly more attractive than so many other forms of traditional advertisement and marketing. 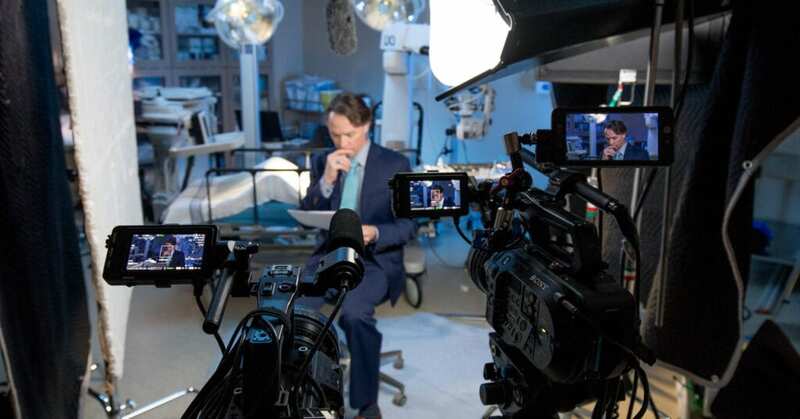 This isn’t to say that you’re not capable of articulating your message properly; but video makes it easier for you to do so, and it also makes it easier for your patients to comprehend your message. If a picture is worth a thousand words, then you can imagine that a video is worth that much more to your practice. Video provides a more immersive experience for potential patients and aids in keeping your message succinct and focused. When it comes to video marketing, you have a number of different streams to choose from. Your medical practice might benefit from explainer videos that detail some of the different procedures that you perform. You might find success with a few 15-second YouTube ads. Whatever your video marketing needs, rest assured that the team at filmMED has you covered! We have a wealth of professional experience in video production and content marketing. To discuss and plan your next video, simply get in touch with us today! Let’s take your video production and marketing to the next level.